Here is the graveyard of old information that once resided on this website. A link to the old blog. Penguicon 2017, April 28-30, 2017: check my schedule! Nebula Conference, May 18-21, 2017 at the Pittsburgh Marriott City Center: check my schedule! The Castle Behind Thorns was a Cybils Finalist and a nominee for the Mythopoeic Award. 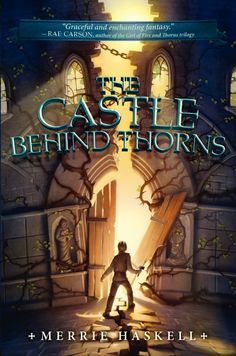 Starred reviews for The Castle Behind Thorns in Publisher’s Weekly and School Library Journal; also a Junior Library Guild Selection. September 5-13: end of summer giveaway! 35 fantastic fantasy authors teamed up to give away a huge collection of novels, PLUS a Kindle Fire to one lucky winner! 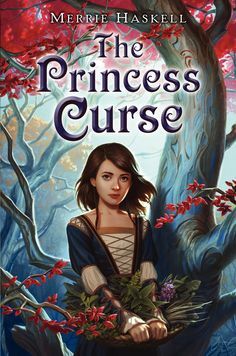 You can win my novel THE PRINCESS CURSE, plus books from authors like CE Murphy and Jenna Black. Enter the giveaway by clicking here. 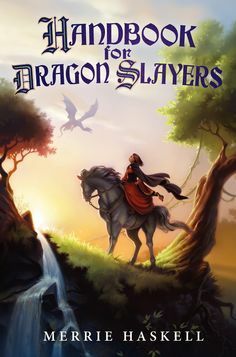 Handbook for Dragon Slayers won the 2014 Schneider Family Book Award for Middle Grades and the DetCon1 Middle Grade Speculative Fiction award. The Castle Behind Thorns is nominated for a 2015 Mythopoeic Award. YAC kick-off reading at Schuler Books in Eastwood Towne Center, Lansing, July 10th at 6pm. Author-in-Residence this summer at the MSU Young Authors’ Conference, July 11th. Meet the Author at the Saline District Library on July 12th, 2-3pm.